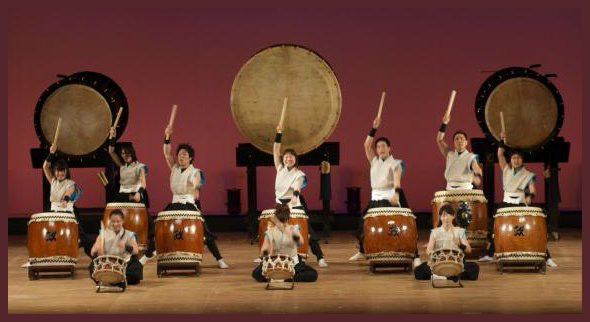 The big drum is often used for festival music.
. taiko, oodaiko 大鼓、太鼓、大太鼓 big drum . If a child did not come home and was nowhere to be found, in former times people thought they have been abducted by a Tengu or by Yamanokami. Villagers went out with bells and drums to search for them. 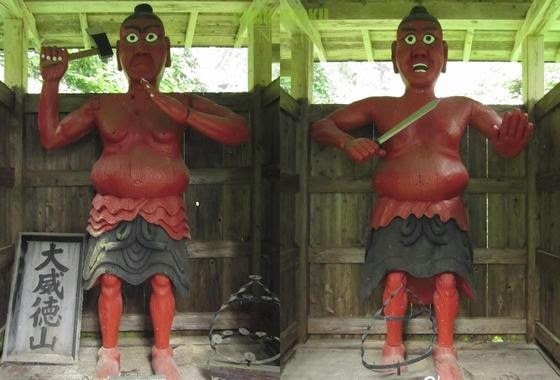 Parents also warn their children not to play hide and seek in the evening any more, in case they may disappear.
. Tengu sama no isami 天狗様のいさみ flute melody of Tengu . In the hamlet of 芳川部落 Hogawa on the other side of the valley they can heard the sound of a big drum at night from about 9 to 10. They asked a priest for advise. He told them that Yamanokami was angry and that soon something bad would happen to the mountain. They called a special saint to perform rituals of appeasement and the sound of the drum stopped! In a cave called 太鼓堂 Taiko-Do, Drum Hall, the sound of a big drum was heard every month on the 20th day of the old lunar calendar. Wild animals came to play in the water puddles around the cave. The clever hunters came at night to shoot their pray. "Yama no Kami is dancing!" Others say tengubayashi 天狗ばやし a group of Tengu with festival instruments are passing. The villgers sometimes hear the Tengubayashi, often from 1 to 2 in the morning. In Takaoka village there has been a huge landslide on the mountain top, where the Tengu is now venerated. If it rains for a long time in Takaoka, they say the Tengu is having a festival and beats the big drums. Before cutting the weeds around the fields, the farmers walk around the fields with bells and big drums to chase away the insects and animals (虫送りの行事 mushi-okuri). This is the day when Tanokami comes down to the fields, so the farmers take a rest and say prayers in his honor. Sometimes Yamanokami makes a loud noise with flute and big drums in the early morning hours. The words "Tengu" and "Yamanokami" are not said directly, people just say アノヒト "ano hito", "that person". 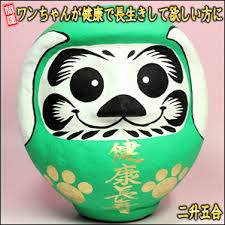 yatsudaikouchi ヤツダイコウチ means the Tengu beats a large drum with eight colors. If people hear the sound and go to the forest, they are usually lucky to hunt a bear. Once a man was taking care of a place all by himself when he heard the sound of the big drum from Yamanokami. It sounded like two beating the drum, Yamanokami and a Tengu. He was quite amused and did not feel lonely any more. On cloudy days, the drumming can even be heard during lunchtime. If a Tengu beats the big drum or a mujina 狢 badger gets excited and beats his stomach, the villagers call it Yamanbaaba no taiko ヤマノバーバノタイコ, the mountain hag beating the big drum. If it can be heard in the evening of a spring day, this is the sign of a good harvest in the coming year. This shrine is located on the mountain range Daiitokusan 大威徳山 between 白岩村 Shiraiwamura and Kakunodate. 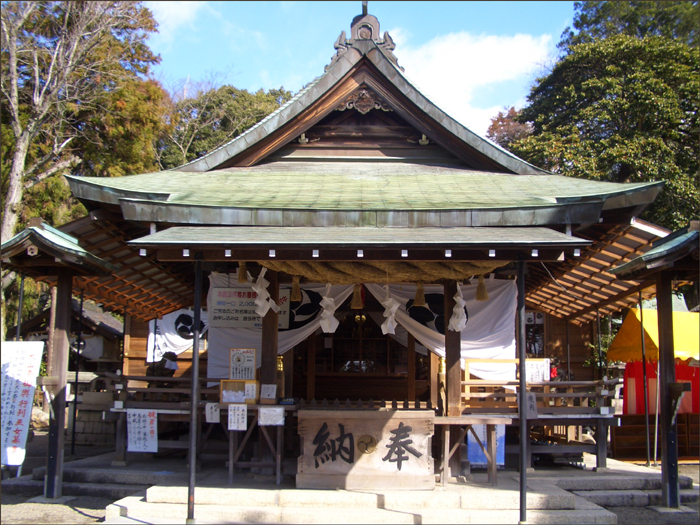 The highest mountain is about 178 m.
The shrine dates back to the Muromachi period. The main statue is 大威徳夜叉明王 Daiitoku Yasha Myo-O. 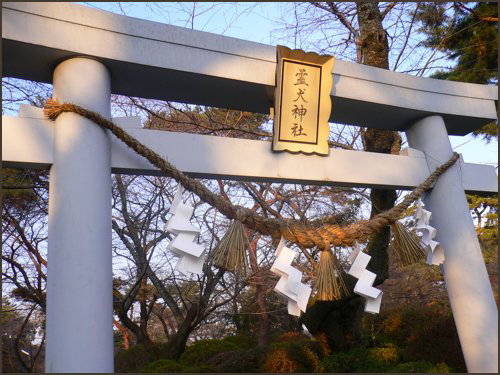 Before the Meiji period, there was no strict distinction between shrines and temples. There are two statues in the gate, like in the Nio-Mon. One carries an ax, the other a short sword.
. Daiitoku Myo-O 大威徳明王 Wisdom King of Great Awe .
. akebi あけび【通草／木通】acebia, akebia. .
.大威徳神社 Daiitoku Jinja 大威徳山神社 Daiitokusan Jinja .
. Daijinguu 大神宮 Daijingu shrines of Japan - LIST -.
. gankiri 癌切り, ganfuuji 癌封じ amulets for healing cancer .
. Dannoo Hoorinji 檀王法林寺 Danno Horin-Ji .
. Daruma Temples だるま寺　- LIST .
. Denbooin 伝法院 Denbo-In - Asakusa Edo .
. Dragon Temples with ryuu / ryoo 龍　竜 .
. daiji, ootera, oodera 大寺 large temple .
. daijoosai, daijōsai 大嘗祭 Shinto Harvest Thanksgiving Ritual .
. Dainichi Sutra　大日経 Dainichi Kyo - Mahavairocana Sutra .
. danjiri だんじり and o-mikoshi　お神輿 festival floats . Now Nagashima Onsen 長島温泉 Hot Spring Nagashima. 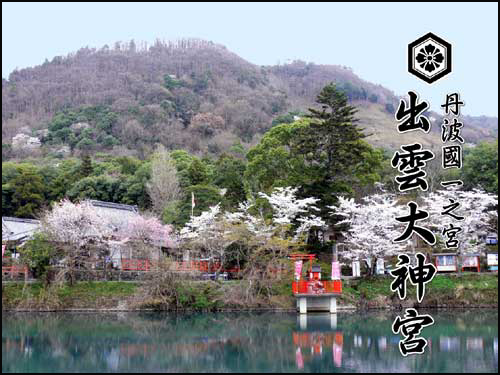 This temple is proud of its history, with a visit by haiku poet Matsuo Basho in 1689. It has been build as an office for the feudal lord Matsudaira Sadamasa 松平定政 (1610 - 1673) and houses a statue of Fudo Myo-O. 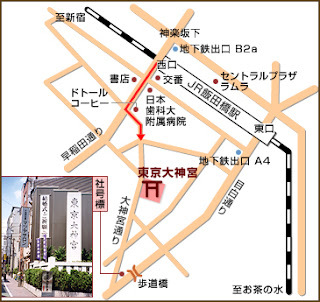 Basho was back from his trip to "Oku no Hosomichi" and was on his way to Shrine Ise Jingu. He stayed 3 nights at this temple to pay respect to the uncle of his companion Sora.
. Konpukuji, Konbukuji 金福寺 / 金福寺 Konpuku-Ji . or all the birds calling in springtime. .Yosa Buson 与謝 蕪村 at temple Ichijoo-Ji Konpuku-Ji 一乗寺金福寺 . 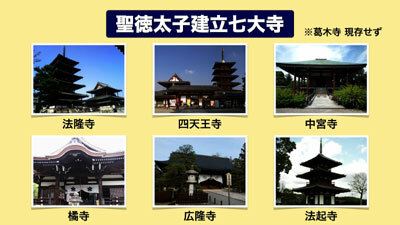 This general name often refers to the largest temple of Japan, the Todai-Ji in Nara.
. Toodaiji 東大寺 Todai-Ji Nara . Eastern Great Temple with the Daibutsu-Den 大仏殿 Great Buddha Hall.
. Toodaiji 東大寺 Todai-Ji .
. Koofukuji 興福寺 Kofuku-Ji . Be it so if no one knows! - Gangō-ji - More in the WIKIPEDIA !
. Gagoze ガゴゼ / 元興神 Yokai-Monk-Monster from Gango-Ji . - Daian-ji - More in the WIKIPEDIA !
. Yakushiji 薬師寺 Yakushi-Ji, the Medicine Buddha .
. Saidaiji 西大寺 Western Great Temple .
. Hooryuuji, Hōryū-ji 法隆寺 Horyu-Ji .
. Shootoku Taishi 聖徳太子 Shotoku Taishi, the Imperial Prince . There are also places called Ootera 大寺 Otera. Masaoka Shiki wrote a lot of haiku about the "Big Temple".
. Masaoka Shiki 正岡子規 visiting Large Temples . in the mist . . .
of Nara . . .
with more haiku by Shiki. Also muneage 棟上; joutousai 上棟祭; joutoushiki 上棟式. 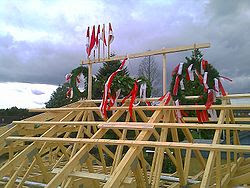 A ridge-raising ceremony that takes place upon completion of the framework of a building. Decorations of various types are hung around the ceremony site. These include: folding fans raised on sticks; lengths of rope, and sometimes dyed silk ropes of five colors. Bows made of cypress or bamboo, which may have seven or eight sections, are also used. Evil is dispelled with two arrows, occasionally as long as 2m, with feathers 54cm by 18cm. One arrow has a turnip shaped tip and the other is a double-headed arrow. Food and Japanese rice wine are offered to the gods as an appeal to protect the ridges. Carpenters' tools, especially the ink pot and lining string, *sumitsubo 墨壷, carpenter's square, *kanejaku 曲尺, and adze, *chouna 釿, are venerated. A ridge tag, *munafuda 棟札, is inscribed and attached to the ridge. amid wild chrysanthemums . . .
soseki　礎石 Lit. foundation stone. A base stone which receives the dead load of a pillar. The upper side of the base stone was made roughly level. Natural and processed stones both have a mortise *hozoana ほぞ穴, into which a tenon *hozo ほぞ, is inserted that extends from the bottom of the pillar. A tenon sometimes is cut into the base stone to be inserted into a corresponding mortise on the bottom of the pillar. 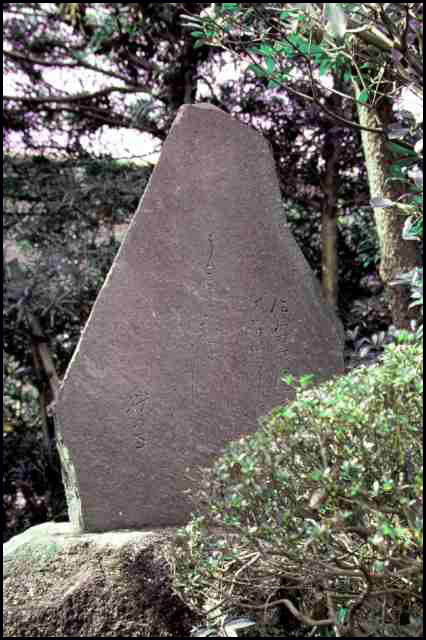 Some base stones have an extension which serves as a sill or a ground plate, jifukuza 地覆座. During the 7-8c a porous limestone called tufa *gyoukaigan 凝灰岩, was used and the developed of stone progressed. From the latter part of the 8c after floored buildings became common, stone processing declined. Many natural base stones were cut from andesite, anzangan 安山岩, a type of volcanic rock and granite, kakougan 花崗岩. A firmly packed bed of golfball-sized stones underlay base stones in the ancient period. The use of natural stones for base stones was common until the premodern age when carefully cut stones were used. engawa　縁側 veranda - Also wirtten 掾側. 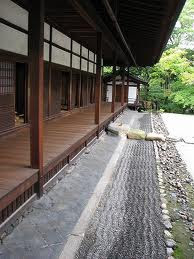 The area beside or surrounding the straw matted *tatami 畳, floor of a room or veranda in Japanese dwellings. Formerly en 縁 and engawa were interchangeable terms, but engawa now usually refers to a veranda that is either partly inside the building with sliding doors protecting it from rain, or a completely exposed veranda. 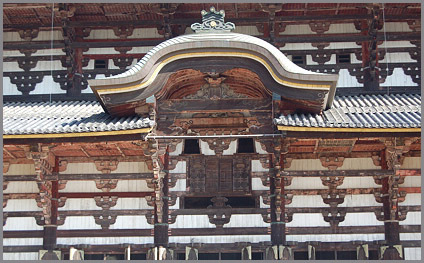 1 *nure-en 濡縁, no rain doors so the it is exposed to the elements;　2 kure-en 榑縁, the veranda boards have there long sides exposed;　3 kirime-en 切目縁, have the cross cut ends exposed;　4 takesunoko-en 竹簀の子縁, is a type of veranda that has a bamboo slatted floor. the big temple . . . It seems there was a large storm in the temple when Kyoshi visited. The verb wameku implies the wind.
. Takahama Kyoshi 高浜 虚子 . 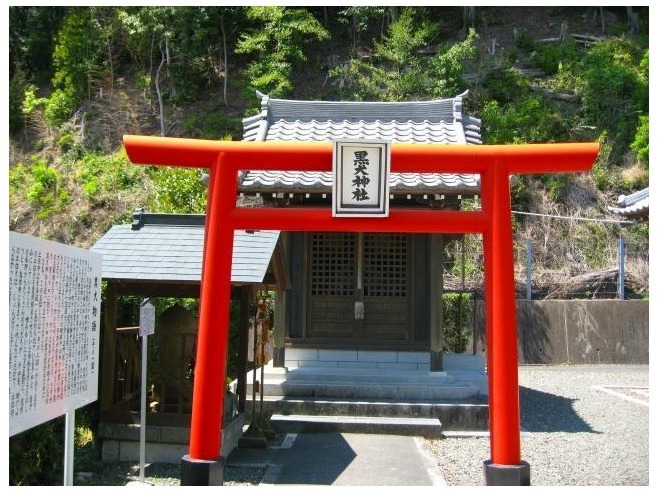 There are various shrines with the name "Daijinguu 大神宮", "Great Shrine for the Deity", in Japan. 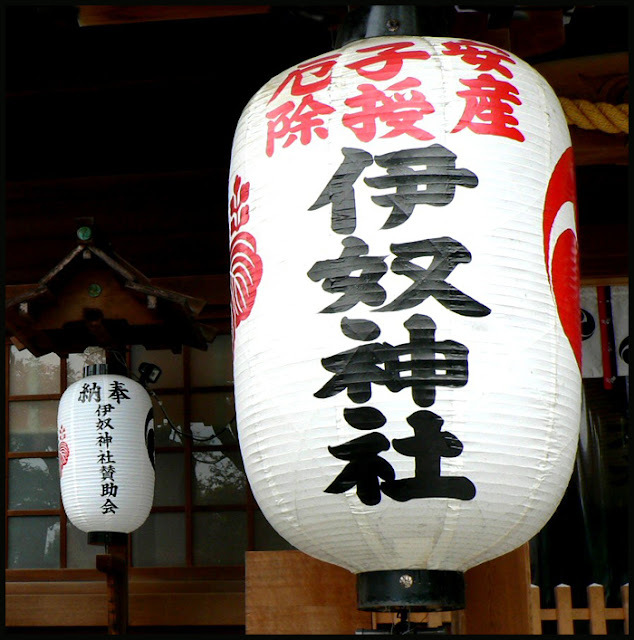 shagoo 社号　shago "Name of a shrine"
Names of types of shrines, such as daijingû, jingû, gû, taisha, and sha. In a few exceptional cases, the name of the deity enshrined is used as a shagô. The title of jingû is the highest appellation; it includes Ise no Jingû and other special shrines dedicated to imperial ancestors or emperors or having an otherwise distinguished background. 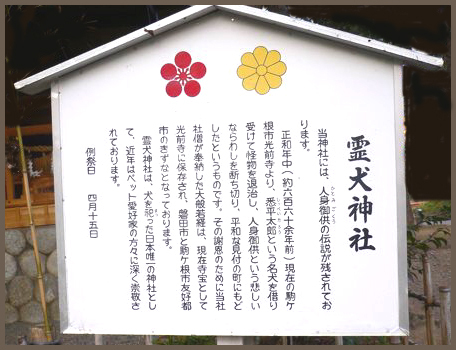 The title of gû is applied only to shrines dedicated to the spirit of an emperor or a member of the imperial family, or to a shrine having some other special historical significance. Taisha indicates a shrine, such as Izumo Taisha, that occupies a position of prominence in the area. Jinja and sha are general appellations. 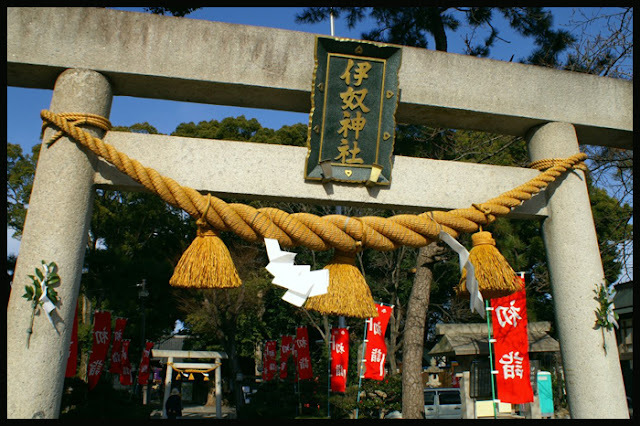 The Daijingu shrines take their name from the Great Shrine at Ise. 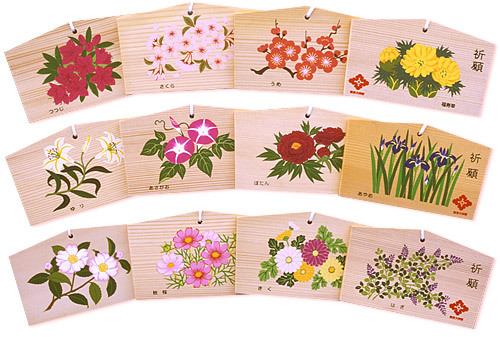 From the shrine 皇大神宮 Kotai Jingu amulets 大麻 (taima)（お札） are presented to the other Ise shrines in Japan. Toyouke Daijinguu 豊受大神宮　ー Gekuu　外宮 Geku, "Outer Shrine"
the largest and most revered shrine in Japan, composed of the Kôtai Jingû (Naikû) and the Toyouke Daijingû (Gekû), plus their respective subordinate shrines. the god Toyouke Ômikami in the Gekû.
. Ise Jingu 伊勢神宮 Grand Shrine at Ise .
. Jinguu, jingû 神宮 Jingu. important shrine . 京都府亀岡市千歳町千歳出雲, Kyoto, Kameoka town, Chitose Izumo. at the foot of Mount Mikage. Built in 709.
to pray fro a long life, good realtionships (enmusubi) and luck with money.
. Shiba Daijinguu 芝大神宮 Shiba Daijingu, Tokyo .
. Tookyoo Daijinguu 東京大神宮 Tokyo Daijingu .
. Mizuta Masahide 水田正秀 (1657 - 1723) . shita momiji can refer to the lower red leaves of a tree or the red leaves covering the ground. Imagine a small local shrine. After the harvest the farmers come throwing a handful of new rice at the shrine to show their gratitude. And in turn families of mice come to partake of the rice . . . The title of jingû is the highest appellation; it includes Ise no Jingû and other special shrines dedicated to imperial ancestors or emperors or having an otherwise distinguished background.
. Daijinguu 大神宮 Daijingu shrines of Japan . Tokyo Daijingu is affectionately called 'O-Ise-san in Tokyo' because of its enshrined deities. the ancestral deity of the Imperial Family and the tutelary deity of all the Japanese, and who is enshrined in the Inner Shrine of the Grand Shrine of Ise. the guardian deity of agriculture, industry, clothing, food and housing, and who is enshrined in the Outer Shrine of the Grand Shrine of Ise. the founder of the Inner Shrine of the Grand Shrine of Ise. In the Edo era (1603-1867), the greatest wish of every Japanese was to make a pilgrimage to the Grand Shrine of Ise, where Amaterasu-Sume-Ohkami and other deities were enshrined. The new era of Modern Japan began with the Meiji Restoration in 1868 and a new shrine was built in Tokyo in 1880 with the approval of Emperor Meiji. This shrine enabled people in Tokyo to worship the deities enshrined in the Grand Shrine of Ise from afar. 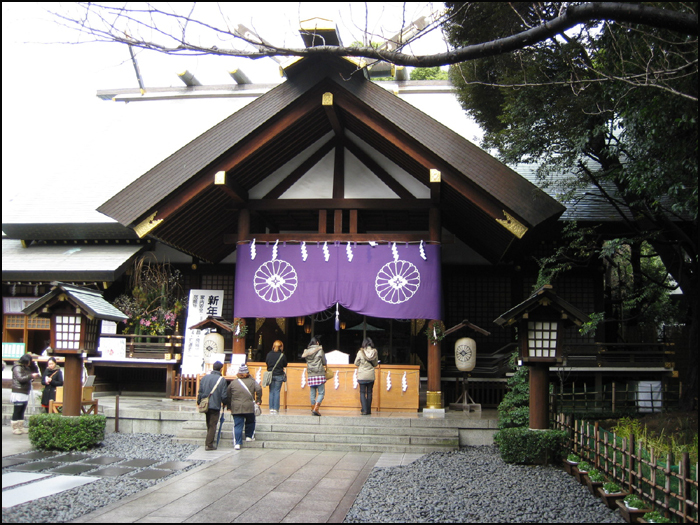 At first this new shrine was called 'Hibiya Daijingu,' taking the name of the area in which it was located. After the Kanto Earthquake, it was moved to its present site of Iidabashi in 1928, and it was renamed 'Iidabashi Daijingu'.
. 日比谷神明宮 Hibiya Shinmei-Gu - Edo . This shrine sells a lot of amulets and talismans, many for finding a love relationship (enmusubi縁結び).
. ketsuekigata mikuji　血液型みくじ blood type amulets .
. Inu 戌 /　犬　Dog Amulets .
. Daruma Papermachee Dogs 戌年の張子 . The shrine dates back to the year 673, when rice harvested in the region was given as offering to the Emperor Tenmu Tenno 天武天皇 in a ritual called Engishiki 延喜式. So its history is now more than 1330 years old. there was a severe flooding in the region. The farmers asked a Yamabushi priest for help. The priest made a ritual wand (gohei御幣), placed it near the river and held a prayer session. In this year, there was no flooding and the farmers harvested a rich crop. 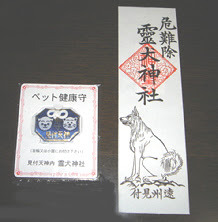 When the curious farmers opened the ritual wand, they found pictures of four dogs and the words "king of the dogs" Inu no O 犬の王" written on paper. But because they had been so curious and opened the wand, the spell was lost and flooding occured again. The mountain priest now told them: "Take the broken wand, bury it in the ground and build a shrine on this place." Since then, flooding finally eased in this region. The deity Inuhime no Kami 伊奴姫神 is only worshipped in this shrine. 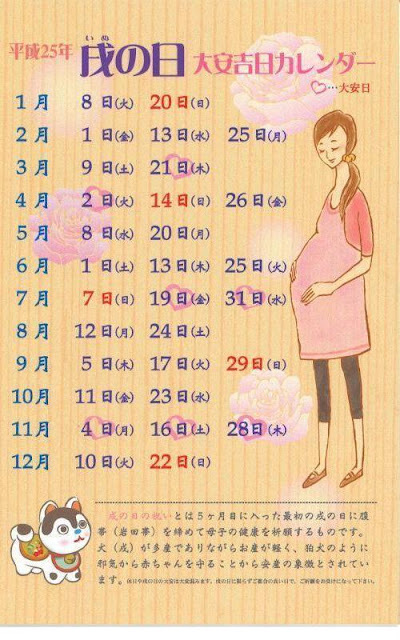 Each month has two or three of these special days. Inuhime no Kami is also helping women in getting pregnant. And after a baby is born, it is presented to the deity with a special thanks ritual. 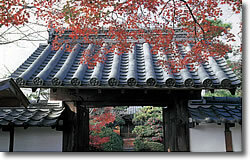 Inu jinja shrine is dedicated to three deities. Susano-no-mikoto 素盞嗚尊, the main deity of the shrine, is associated with safety at home and also for repelling bad luck and unhappiness. The second deity of the shrine, Otoshi-no-kami 大年神 , is famous as the god of business and is also worshipped as the god of agriculture. 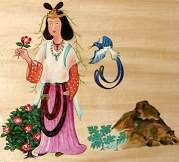 The third deity, Inuhime-no-kami, is associated with safe delivery during childbirth and also for good health of children. It is said that in the year 673 Emperor Temmu came and harvested rice in the area surrounding the shrine. It is believed that the shrine came into existence around that time. It is also believed to be the origin of the name of the area ‘Ino-cho’. 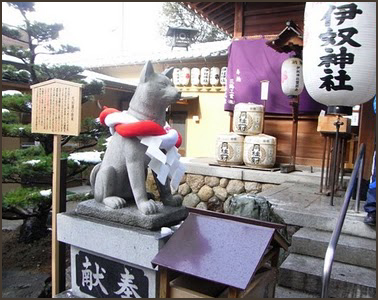 Since the name of the shrine is Inu jinja, this shrine is very famous amongst people having dogs as pets or dog lovers. 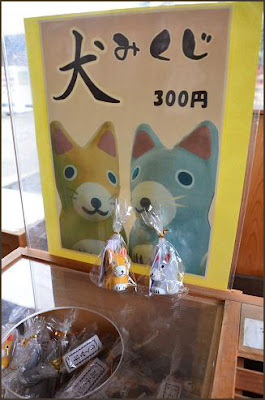 This is because the Japanese word for dog is ‘inu’. 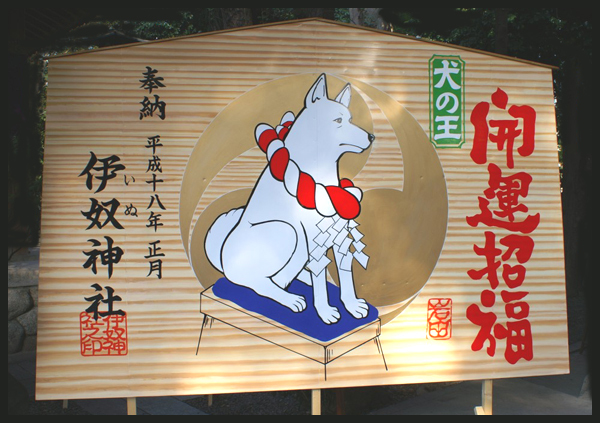 However, it is just the phonetic pronunciation of ‘inu’ that is similar, and actually the kanji character for dog is different than that of this shrine. To the right hand side of the main altar, there is another building named emaden　絵馬殿. ... Common wishes are for success in work or in exams, marital bliss, to have children, and health. People born in the year of the dog、戌年生まれ come here to pray. A stone-carved guardian dog named inu-no-sekizoo 犬の石像　is displayed in front of the main altar of the shrine. This guardian dog is associated with safe delivery during childbirth. wanchan is the Japanese equivalent of doggie, the beloved pet dog. Shippei Taroo しっぺい太郎 / 悉平太郎. 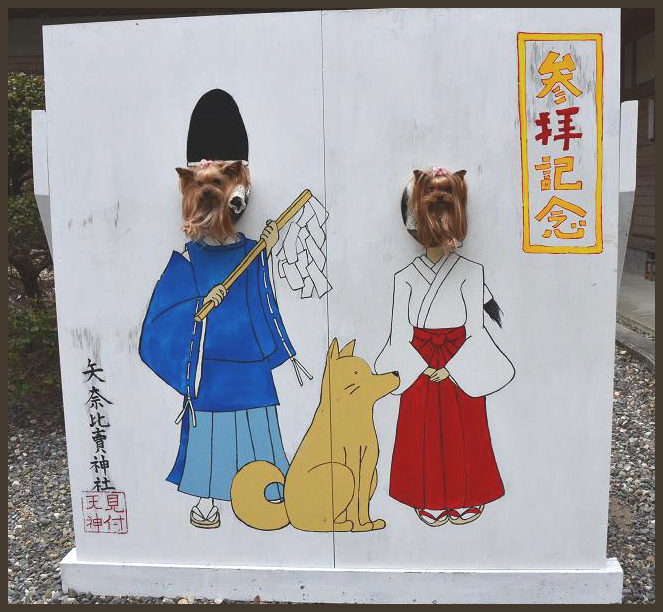 It is the only dog venerated as a deity in Japan. This is the grand festival of Yanahime Shrine (Mitsuketenjinsha) held on the Saturday and Sunday right before August 10 of the Lunar Calendar, and is called Hadakamatsuri (naked festival)" because men wearing a Japanese loincloth (called fundoshi) with a straw raincoat on around their waists dance wildly in the hall of worship of Yanahime Shrine and various sites of Mitsuke. 28 groups make four teams, walking around the town barely naked to the shrine. 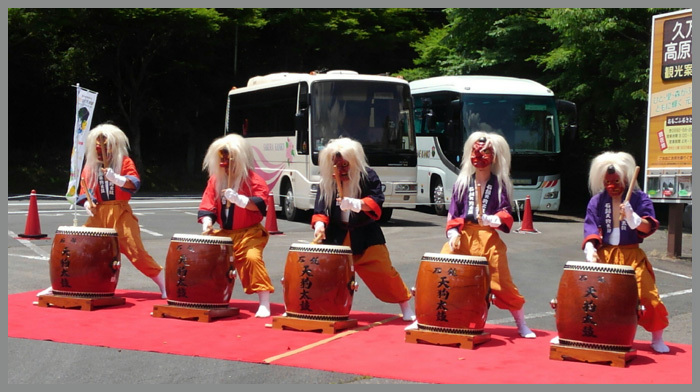 They wage a fierce battle dance called "Oni-odori　鬼踊り" (devil's dance), screaming "Oisho! Oisho!". 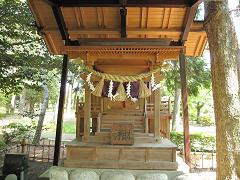 The festival is held when the enshrined deity of Yanahime Shrine passes to Omi Kunitama Shrine, the Sosha of Totomi-no Kuni. Since the festival retains its ancient ritual condition, it was designated as a state important intangible folk cultural property on December 27, 2000.
. WKD - Naked Festivals (hadaka matsuri　裸祭り) .
. Mitsuke-juku 見附宿 - Nr. 28 of the Tokaido Road 東海道 . Kuroinu Jinja 黒犬神社 "Black Dog Shrine"
enshrines the ledendary undefeated sacred black dog named Kuro which is said to have been one of the wolves sent from Harunosan Daikoji (Kiganji started as a shugendo(Buddhism-Shinto hybrid) temple in 8th century so the temple also had shrines). About 200 years ago when Tanaka castle was ruled by Honda clans, the lord of Tanaka castle challenged Kuro against his white dog. Kuro defeated the lord's dog but that angered the lord and he ordered his men to behead the black dog. Kuro outran the pursuers but he was finally cornered at the old well of the temple. He had to throw himself into the well. Then with eery shrieks, the sky darkened with black clouds and came thousands of wolves from Harunosan. Lord of Tanaka castle then felt ashamed of what he has done to the sacred dog and made a shrine to appease the dog's soul. Today the figure of Kuro is surrounded by the figurines of cute doggies including those of Peanut's Snoopy donated from the visitors all over Japan. People who visit the shrine pray for winning the games, and for his/her pet's health. During the Edo period, Inuyama was a sub-domain of the Owari Domain, entrusted to senior retainers of the Nagoya-branch of the Tokugawa clan. The shrine was located in the south of the castle of Inuyama 犬山城. 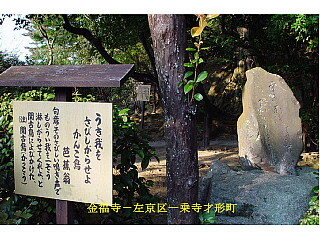 The first lord of the castle and his Naruse clan 成瀬氏 are venerated here.
. 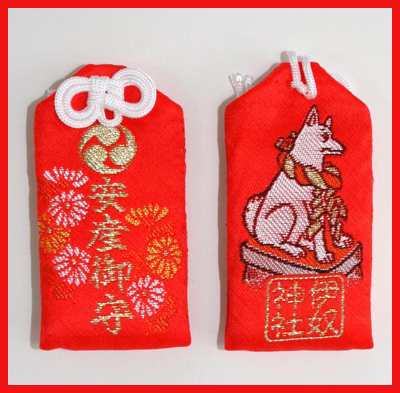 Folk Toys from Aichi / Inuyama .
. WKD : Dogs and Haiku .
. Inu　お守り　- 戌 /　犬　Dog Amulets .